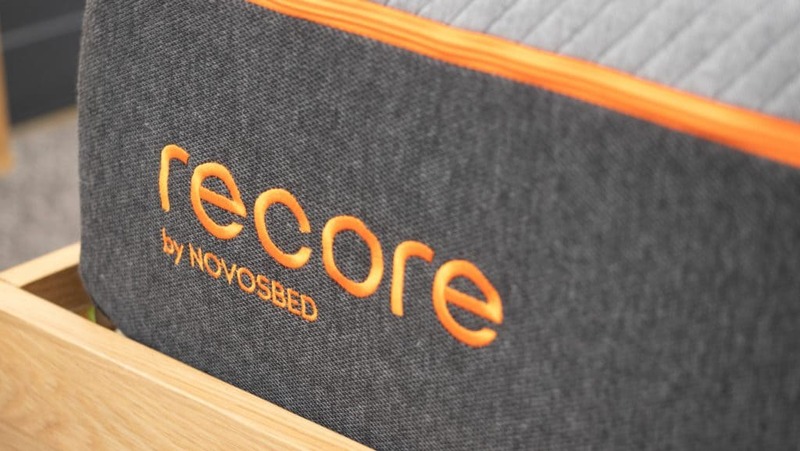 In this review, I’ll be taking a look at the Recore mattress, a four-layered bed from Canadian retailer Novosbed. 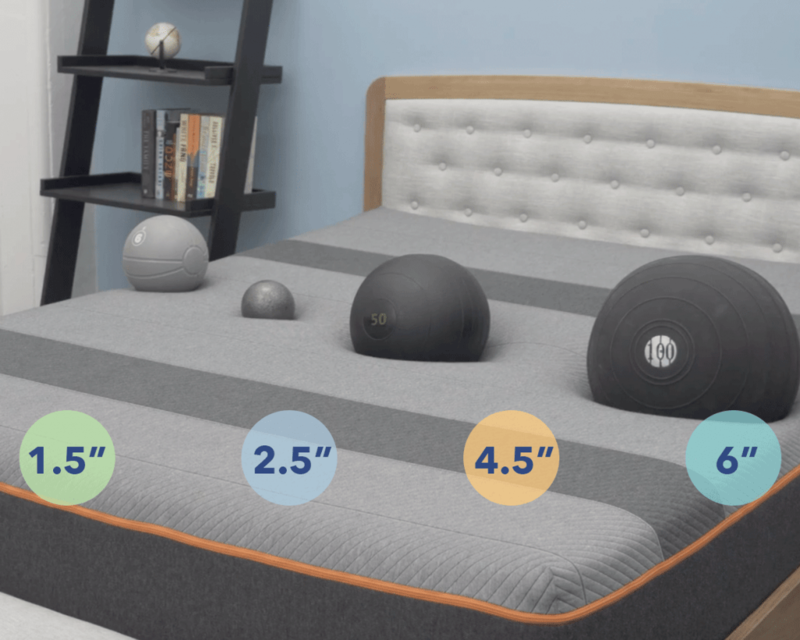 This mattress features a sleek, straightforward design that harnesses the power of both latex and gel-infused foam for a cool, all-encompassing sleep built for athletic recovery. But does the bed have what it takes to be the new champion of your bedroom? I won’t know until I put it to the test, scope out its firmness and feel, and help you determine if the Recore is right for you. Short on time? Click here to skip to my review summary. The Recore is an all foam mattress designed to help active sleepers recover to their full potential. This bed has great mobility, helping you avoid feeling stuck in the mattress, making it a nice choice for combo sleepers! Click the link to automatically save $100! An early pioneer in the bed-in-a-box movement, Novosbed got its start in 2009. 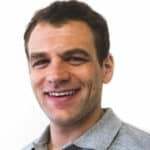 Since then, the company has gone on to become one of the most popular mattress brands in Canada, with its original memory foam model scoring big with a wide range of sleepers across the country. The Recore mattress is the first bed designed by the company specifically with active sleepers and athletes in mind. The Canadian company also scores some Earth Day points with a zero-waste policy, a commitment to Tencel textiles, and a program that donates all returned mattresses to North American charities. According to the retailer, everything not used in the manufacture of a finished Novosbed mattress is recycled or repurposed for other products. What is the Recore Made of? This 10.5” mattress features a simple, streamlined design consisting of four layers of latex, memory foam, and high-density poly foam. These materials are also infused with some great cooling technology, which I’ll make sure to point out along the way! Like most mattresses constructed with synthetic materials, this bed has a soft, sinkable feel that sleeps cool and helps dampen motion transfer considerably. We’ll get into the nitty gritty details of the bed’s motion transfer and sinkage later on, but for now let’s take a look at the bed’s unique construction. 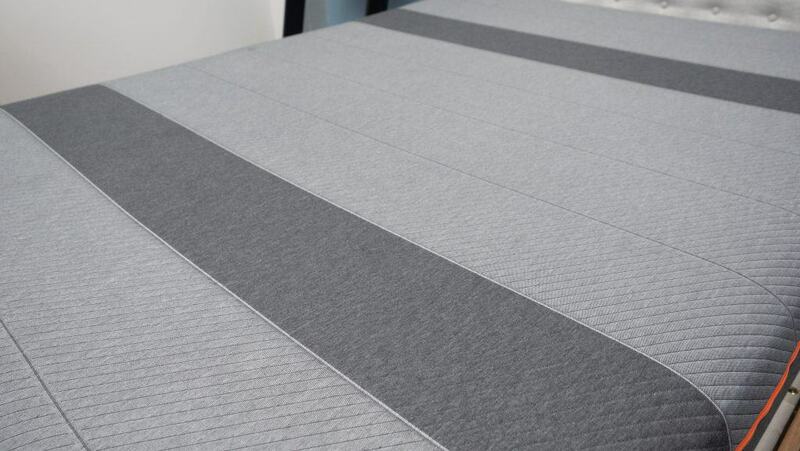 Cover – The silver-infused cover of the Recore mattress is made of a blend of polyester, viscose and spandex. This combination of materials makes for a thin, stretchy cover that is light, breathable and cool to the touch. Silver, in particular, is great for temperature regulation as its outfitted with powerful anti-microbial properties. Comfort Layer – Directly below the cover, you’ll find a layer of graphite-infused latex foam. This section has some fantastic bounce to it, helping to keep the sleeper lifted on top of the structure. Though latex is a popular mattress material, the graphite infusion here makes this particular foam quite unique as it works to actively cool the sleeper while they drift off to dreamland. Transition Layer – Up next is a 2” section of gel-infused memory foam, which has a much slower response to pressure than the latex above it. This means the sleeper is likely to sink into this layer for some satisfying pressure relief and body contouring. A special gel infusion helps to keep the cooling game going throughout the structure as it works to mitigate the natural overheating properties of memory foam. Base – The foundation of this mattress consists of 7” of high-density poly foam. This is the bed’s firmest layer, with a quick response to pressure that provides excellent spinal support and stability. High density polyfoam positioned beneath a layer of slow-response memory foam makes this layer sturdy and durable. How Firm is the Recore? Now that we’ve taken a closer look at how this mattress is constructed, let’s chat about the bed’s unique firmness and feel. Pressing into the mattress with my hand, the first thing I noticed was how cool the cover feels. The Recore leans into the cooling angle hard, so it’s nice to see that it’s actually true. Pushing further into the latex comfort layer, I experienced some nice bounce that helped to curb the contouring of the memory foam layer below it. When I added more weight, I was struck by just how firm and supportive the mattress felt under my hands. While my own opinion is all well and good, I think it’s always better to involve more folks in the firmness discussion, so I enlisted three other people to come in and test out the bed. Firmness is always going to be a personal thing, so our responses to the Recore mattress should demonstrate the range of firmnesses you might experience while lying on top of it. 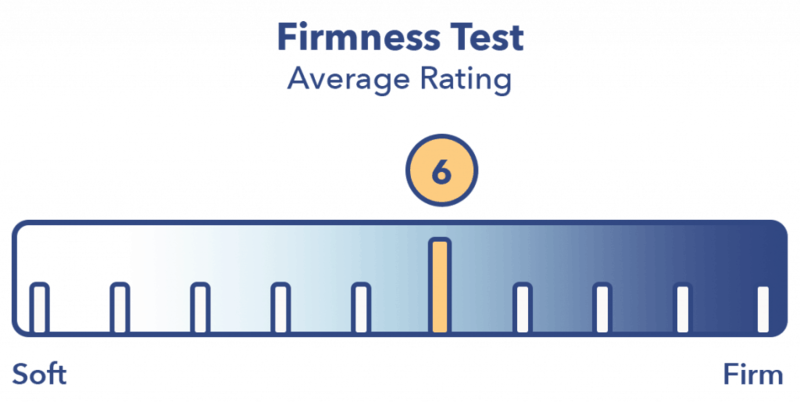 As you can see on the chart above, there was a fairly wide range of opinions on the firmness of this mattress, though we did eventually land on an average rating of 6.25. 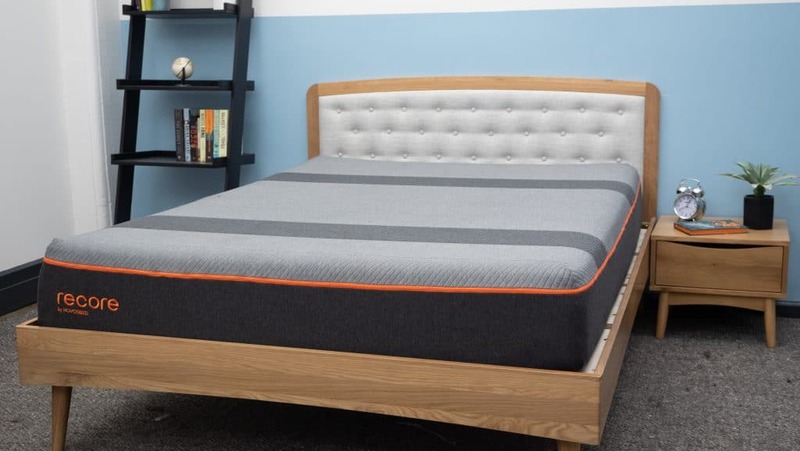 When compared to the industry standard of 6.5 for medium firmness, it seems this bed is a touch on the soft side; however, I should point out that it did score a 7.5 from one of our testers, which goes to show just how personal a bed’s feel can be. For those of you scratching your heads about how there could be this much variance, allow me to present a simple solution: Sleepers interact with memory foam in different ways. Some feel the contouring material as super soft while others perceive its slow response to pressure as quite firm. Neither experience is “wrong,” but rather affirms that the best way to know how a bed’s going to feel is to hop on the structure yourself. For me, I found this mattress to be quite gentle and cozy, giving it a 5.5/10 on the firmness scale. 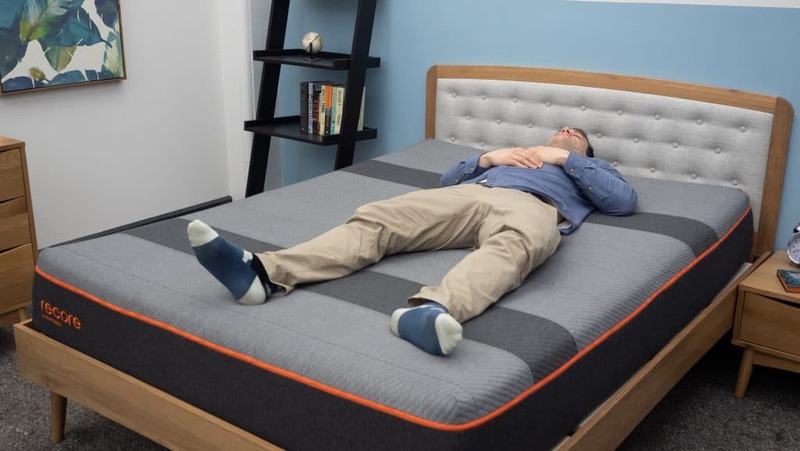 I’m about 5’10”, 190 lbs., so when I stretch out on top of a bed like this, I immediately start to feel myself sinking into the soft layers of foam in the comfort and transition layers. Though the buoyant lift of the latex did keep me positioned more on top of the bed than in it, I still felt a nice hug from the mattress. That being said, I think it could be a great fit for back/side sleepers who need pressure relief, but also want to switch easily between positions. Another important component of a bed’s feel? Pressure! 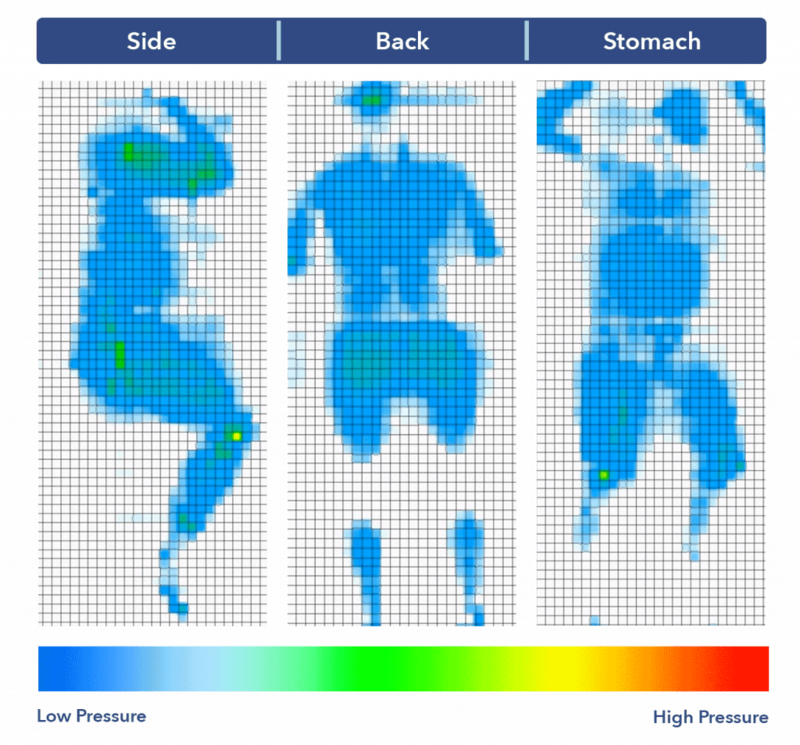 For this test, I’m going to explore how the Recore mattress relieves pressure at sensitive spots along the body (like the hips, shoulders, and lower back). But I won’t just be describing this with words — I’ll be utilizing a pressure map to visually demonstrate where tension might crop up. As I stretch out on the map, an app on my computer creates a graphic showing how my body’s interacting with the bed. On the image below, you can see this on a gradient from blue (indicating low pressure) to red (indicating high pressure). Back – Lying on my back, I could feel my body slowly sinking into the gentle top layers of foam. As the memory foam transition layer contoured to the curve of my lower back, I experienced some nice pressure relief along my spine, as you can tell from the map’s solid blue color. Though there was some satisfying sinkage in this position, I didn’t feel stuck in the mattress and could still move around with ease. Side – As I rolled onto my side, the softness of the mattress became even more obvious. In this position, I could feel the latex and memory foam layers working in tandem to provide great relief to my shoulders and hips, typical problem areas for side sleepers. As I mentioned above, I think this bed could be a nice pick for those who doze primarily on their sides. Stomach – Once I turned onto my stomach, I began to feel a bit of discomfort on the Recore. While the map above doesn’t indicate a ton of pressure across my body, I will say that I could feel my hips sinking out of alignment with my shoulders in this position. 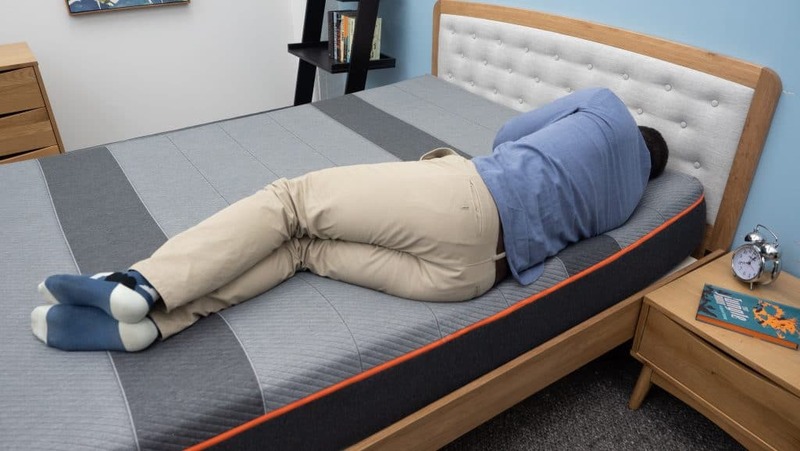 Though the shift is subtle, it’s significant enough for me to say that this mattress may not be best for stomach sleepers, who will likely prefer a firmer structure. Though we’ll continue to explore the Recore mattress in more detail below, I thought I’d take a moment to compare it to some of its biggest competition in the space, namely the Endy and Douglas, two all-foam Canadian mattresses. Below, I’ll break down the biggest similarities and differences between all three beds, but would encourage you to read my full reviews of the Endy and Douglas for context. Built with three layers of gentle poly foam, the Endy mattress is a super soft bed designed with pressure relief in mind and could be fantastic for side sleepers. This bed also features decent motion transfer and edge support, so could make a better option for couples than the Recore. The Douglas actually has a pretty similar build to the Recore as it features both gel-infused memory foam and a bouncy latex alternative. This makes sense since the Douglas is also a Novosbed mattress. Unlike the Recore, however, the Douglas has slightly deeper sinkage, which could be important for those who want to more feel “in” their mattress. At C$799 for a Queen, the Douglas is also the most cost-effective mattress of the three discussed here. Next up, let’s chat a bit about motion transfer, or the amount of movement likely to be detected from one side of the bed to the other. While this test will be important for all sleepers, it could be especially pertinent for those who share a bed with a partner or pet as it’ll demonstrate just how bothered you’ll be by motion in the middle of the night. 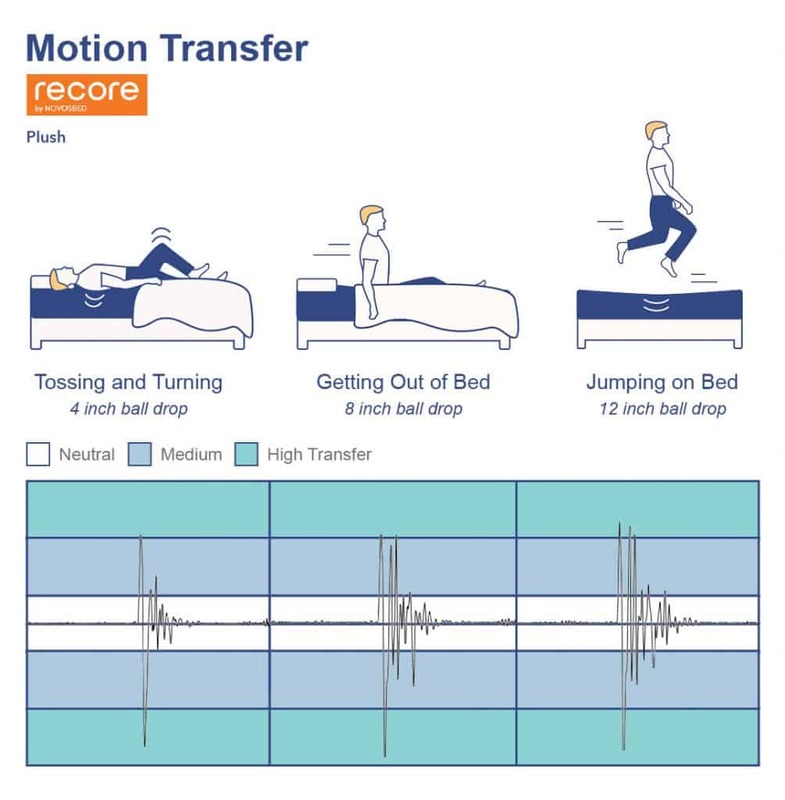 To demonstrate the Recore’s motion transfer, I dropped a 10 lb steel ball from heights of 4 inches, 8 inches, and 12 inches and measured the disturbance on the other side of the mattress using a seismometer. This should be pretty intuitive: the bigger the lines, the bigger the disturbance. As you can see in the results above, the Recore did just fine on this test: nothing amazing, nothing horribly bad. What this tells me is that you shouldn’t be too disturbed by light movements (like a toss or a turn), but that bigger movements (jumping, getting out of bed in the middle of the night) might disrupt your sleep. And finally, let’s round out my assessments with a little sinkage! As the name implies, this test is all about figuring out how much you’re likely to sink “into” or float “on top” of the mattress. To give you an idea of how your body might interact with the Recore mattress, I placed four balls of varying sizes and densities (a 6 lb medicine ball, a 10 lb steel ball, a 50 lb medicine ball, and a 100 lb medicine ball) on top of the bed and measured how deeply into the structure they pressed. These are pretty average sinkage results and tell me that while you’ll probably experience some nice cushion when you sleep on the Recore, you’re not likely to feel stuck in the bed. Though this more “on top” feeling won’t work for everyone, I think it could be a real win for combo sleepers who need to change positions throughout the night. 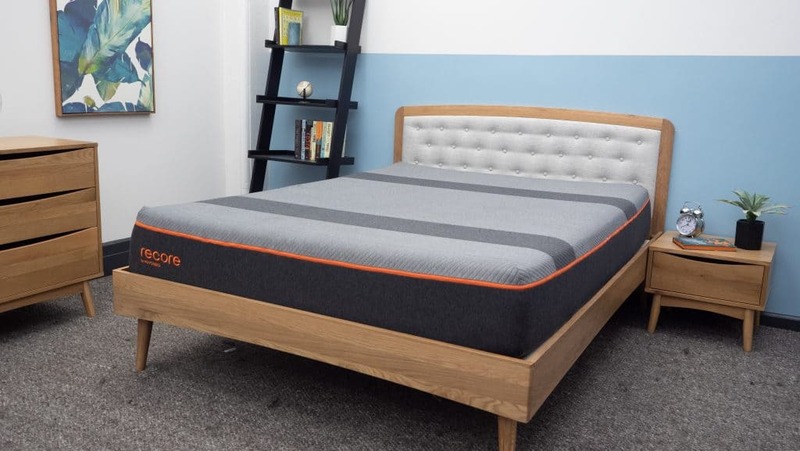 Is the Recore Graphite Latex Foam Mattress Right for You? Now that we’ve taken a deep dive into the Recore mattress, it’s time to break down the main reasons this mattress may or may not be perfect choice for you. 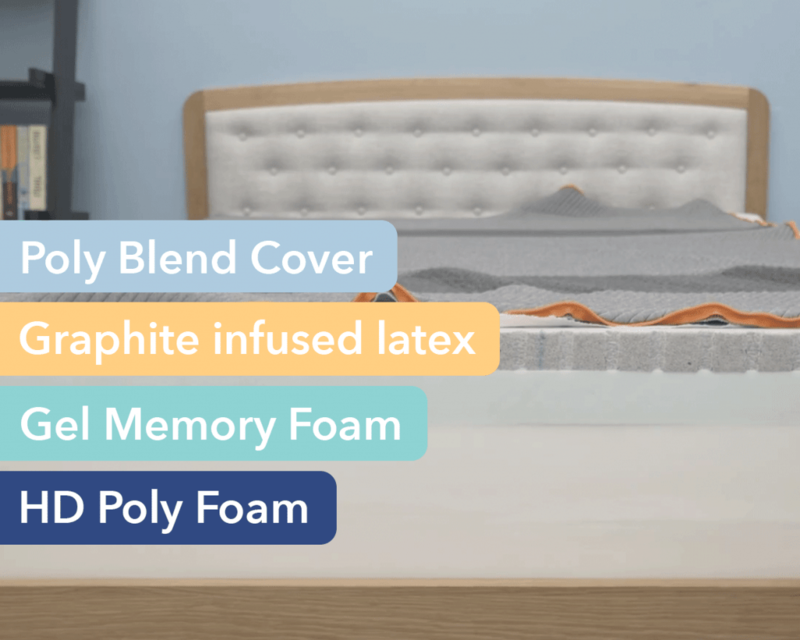 Just right for combo sleepers – The mattress has a unique soft-yet-supportive feel, thanks in part to its mixture of latex and memory foam. It’s neither too bouncy nor too soft, making it an ideal pick for combo sleepers who switch positions frequently throughout the night. Sleeps cool – The graphite-infused cover and gel-infused memory foam work to wick moisture away from the body and disperse heat throughout the mattress, ensuring you stay cool and dry while you snooze. Great deal for Canadian shoppers – The Recore is made in Canada, which helps cut down on costs like shipping, a savings that is then passed on to the consumer! Too soft for stomach sleepers – Although this mattress is soft enough for combo and side sleepers, that same softness makes this mattress less-than-ideal for stomach sleepers who need a firmer mattress to encourage healthy spinal alignment. Lacks edge support – All that super soft foam layering makes for a bed that slopes easily down at the sides, which means there’s a slight danger you could fall out of bed – especially if you’re an active sleeper who rolls too near the sides of the mattress during the night. Warranty: Novosbed offers a 15 year warranty. Recore is not currently available outside of Canada. 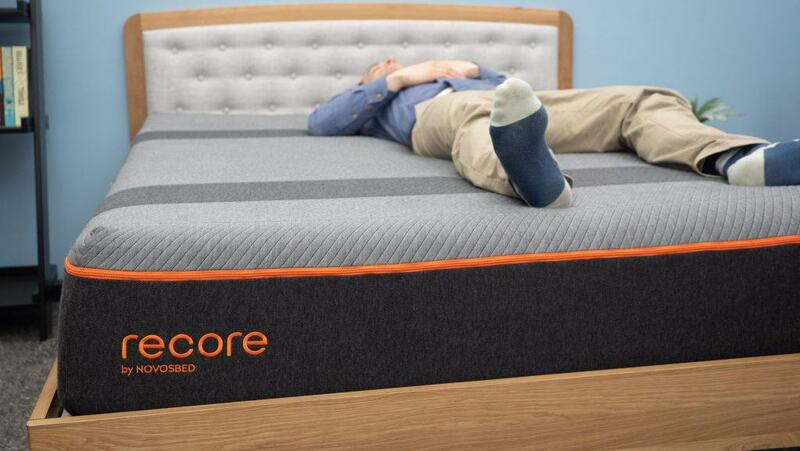 Convinced the Recore mattress is the one for you? Be sure to check out the detailed size and pricing info below.